Plans to merge two Pembrokeshire secondary schools have been given the green light by councillors. Sir Thomas Picton and Tasker Milward schools in Haverfordwest will be closed in order to establish a new school for 11-19 year-olds from September 2018. The new school will initially use both sites of the current schools. The plans follow five separate consultations on the future of secondary education in the town. It means Johnston and Neyland will form part of the Milford Haven School catchment area. The council previously wanted to create an 11-16 school, with sixth form provision moving to Pembrokeshire College. But those plans were met with protests from pupils and parents and were scrapped in May. The council carried out a consultation at the start of 2017 and said about 70% of respondents indicated they strongly agreed or agreed with the latest plans. 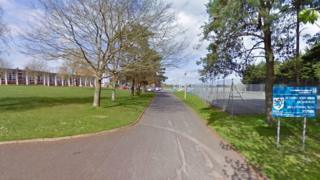 Pembrokeshire council said the case for change was necessary in order to "improve educational standards for learners". It also aims to address surplus places and the condition and suitability of buildings.